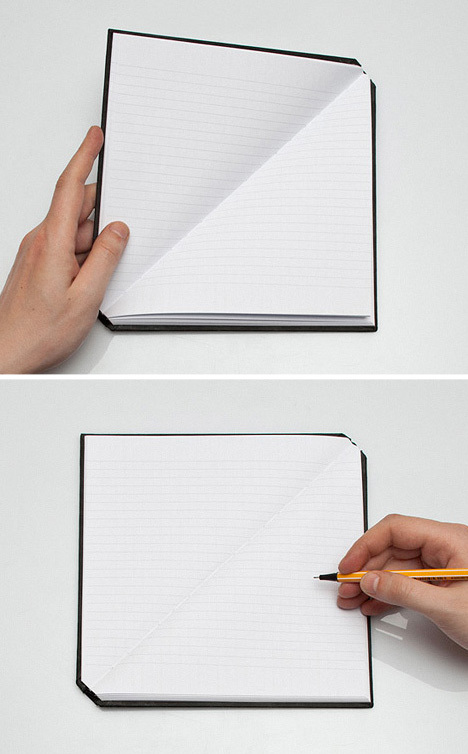 If you find yourself having a hard time thinking outside the box, the angled line breaks in this ingeniously simple idea pad may be some combination of frustrating and inspiring. 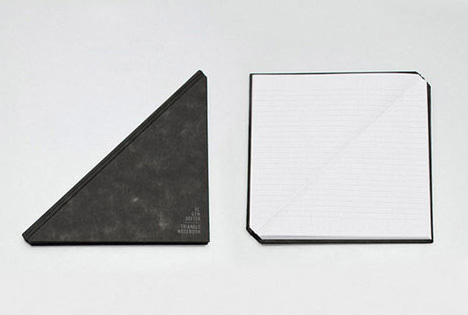 In some ways, this notebook is a great example of those so-obvious ideas that are only clear in retrospect – after all, fold any napkin in half and you get a triangle … so why not work paper in reverse? 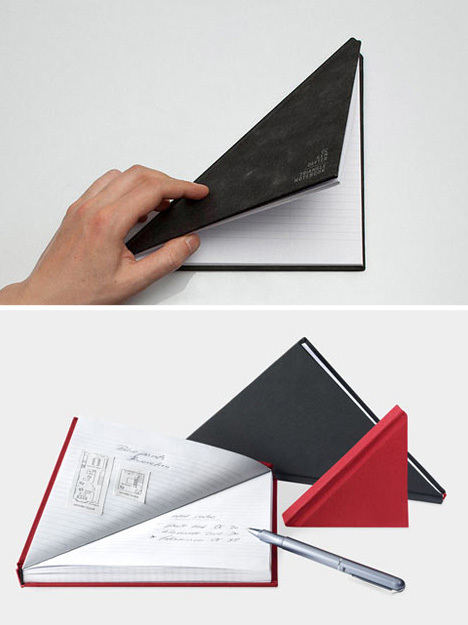 This design by Tan Mativan was made for the MOMA as a creative and portable alternative to your typical rectangular note-taking devices, be they physical or digital. Maybe not the most practical shape, but a fun experiment, regardless, and at under $20 not a bad triangular gift for someone in your creative circles (or squares).